Resiliency is the strength and ease used to bounce back just as quickly as a buoy reemerges from beneath rough waters after a wave crashed forcefully upon it. This begs the question - How resilient are you? Imagine the small child happily skipping along the road on his way to school. He is in good spirits. His backpack holds all of his belongings and his hands are free to wave. A smile is plastered across his face. As he joyfully crosses the street, a truck drives through a puddle so large it could have been a small pond. The young boy is immediately covered in mud. His hair is wet and his clothes are streaked with wet dirt. His backpack is also wet and heavy. Tears well up in his soft eyes. He slows his pace to match his feelings of insignificance and despair. When he arrives at school, he ducks his head in hopes of hiding, but the other children point and laugh at him. He begins to cry again. He quickly darts into the school bathroom to hide. Inside the bathroom, he attempts to wipe away the dirt on his face. Children enter the bathroom, see the distraught boy, and make harsh comments toward him. He falls against the wall and sinks to the floor just as the school bell rings. Now he is late. If goes into class, everyone will surely notices his disheveled appearance. He wants to go home to change or hide, but mom and dad always lock the house. With his head bowed heavily into his hands, he quietly questions what to do next. Should he go to class and face more ridicule? Or should he hide in the bathroom for the rest of the day? Life can feel this hard every day, whether young or old. Unforeseen events can literally drench you in mud, blood, sweat, or tears. Some events are severely traumatic, while other events can FEEL traumatic in the moment, as it did for the little boy. Can you relate to his pains around feeling embarrassed, feeling unloved, and not wanting to be seen? Maybe a similar situation happened to you through no fault of your own. An experience, such as in the example above, creates an opportunity for a powerful choice to be made. You can either choose to get back up and express who you are in all your mess or glory, OR you can hide you and your gifts away from the world. For the little boy, he believed he had two options. One, he could face his fears of ridicule and shame for the appearance he would have to bear for the rest of the day... Or two, he could simply hide away all day. I assure you there are always more possibilities than you can actually see or fathom. Possibilities are infinite and they are always there to support you. You are always empowered to make decisions. The decision you choose can either build your innate resilience, or it can foster more resistance or fear in your life. The choice you make - in either direction - dictates the neural pathways your brain creates to protect you. Those pathways then dictate your future decisions of whether you stand in your power, or continue to hide. It is imperative that you know you were born with an armor coat of resilience. Your armor can be enhanced. You can rewire your brain to overcome the life experiences, and traumas of your past. You can rewrite old stories of impossibility, weakness, and lack of confidence. Because the reality is YOU ARE RESILIENT. You are resilient in your life. You are resilient in your business, and your work. You are resilient no matter what comes your way. 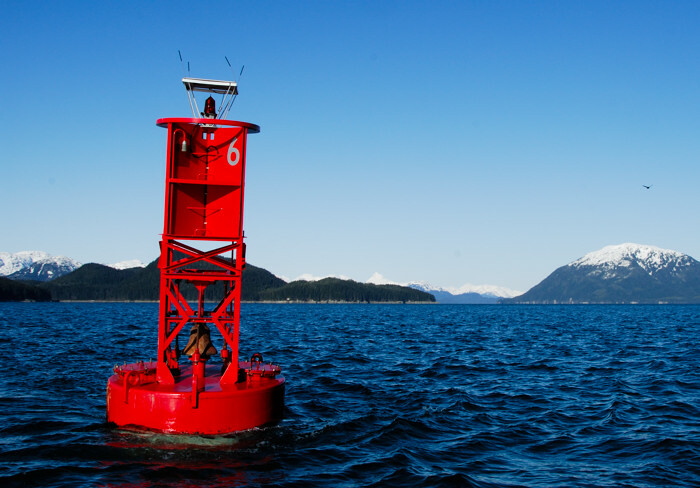 You are the resilient buoy naturally finding your way back up. You are capable of overcoming the struggles that float in your way. You are a wave of unstoppable determination and power propelling you toward the next island adventure. Resilience is simply your ability to adapt, and I guarantee you have done that over and over in your lifetime. You are a constantly evolving being; therefore, you are building your resilience daily. You are working on BEing your highest and best resilient self. You know how important it is to live authentically, be courageous and decisive, feel empowered and lovable, leverage your energy to be more vital, be emotionally wise, trust yourself, and know your worth. I focus intently on these nine keys to help you live your life resiliently. I know the more you live out each key passionately and in alignment with who truly are (through understanding your unique Human Design blueprint), the less struggle you encounter with each key. These nine keys build up your resilience so you can truly BE you while living abundantly. How determined are you to be your fully resilient self again? To be resilient, you must take inventory of which resiliency keys you currently have in high stock and which need to be reordered. If you are ready to learn how resilient you are, I invite you to download this free Rate Your Resiliency Keys file created for you (no opt-in required). I encourage you to take a moment to print out the PDF and rate yourself on each key to see where you are highly resilient and where there may be some work to do. The goal is to FEEL resilient in each key at whatever rating you choose. It is best to notice what your body is telling you to rate - not your head. Your head may THINK it is resilient, but it is hard for it know given it is also the storage facility for the past traumas that are already keeping you from experiencing higher resilience. So, what can you do to raise your resiliency keys? Using essential oils is the simplest option that can provide a small boost necessary to raise your resilience and your vibrational frequencies. I highly recommend using the Emotional Balance Set of essential oils created by Purify Skin Therapy. These oils are certified organic and are designed specifically to match the energies of each of the nine resiliency keys. I love them. Another option is to get outside support. I provide such support and healing guidance. You can learn more about the process I use to build resilience within myself and those who choose to seek my guidance through an upcoming live workshop. On December 22, 2017 at 9am PST, I am hosting a free 75-minute virtual meeting. You are invited to register for this workshop HERE. We will also dive deeper into the process I use to build resilience through the nine keys: Authenticity, Courage, Decisiveness, Empowerment, Emotional Wisdom, Lovability, Self-Trust, Self-Worth, and Vitality. You will also experience a hands-on healing approach to tackling the fears, resistance, and emotions that hold you back from truly being resilient. It would be an honor to work with you intimately on this call to show you just how deeply resilient you are. I see YOU, your brilliance, and your innate abundance. That's why I am here - to guide you to see it, too.